Yorkshire-based supermarkets Asda and Morrisons have both benefited from a rise in demand for own-label products. 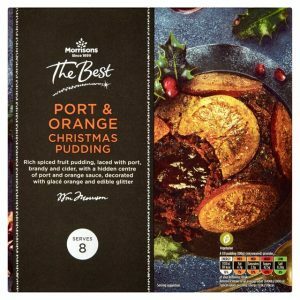 Bradford-headquartered Morrisons saw a 13% growth in sales for its premium "The Best" range, according to Kantar Worldpanel. And Leeds-based Asda saw its recently launched "Farm Stores" line generate sales of over £58m. Fraser McKevitt, head of retail and consumer insight at Kantar Worldpanel, told the Yorkshire Post: “Many mainstream retailers are prioritising own label as they want to offer shoppers cheaper goods. When inflation rises, shoppers are driven to own label. “We know from the last recession, when times are tough people choose to eat in. It’s much cheaper to buy premium products than to go out. “Morrisons’ premium line has always been under developed and now they are playing catch up. Overall, Morrisons saw a sales increase of 2.1% year on year, with Asda up 1%.